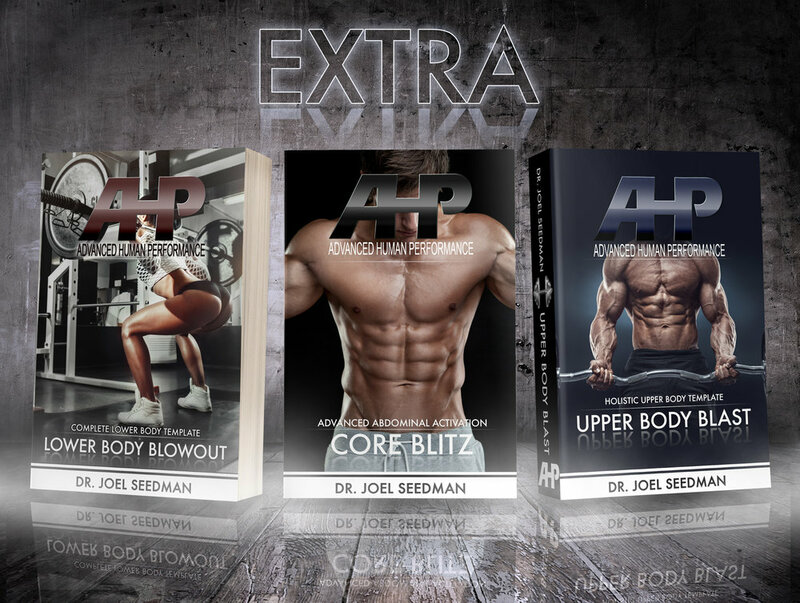 AHP presents Iron Game Warrior - an exclusive bundle package from Dr. Seedman that contains four of his most popular products particularly for mastering athletic performance and body mechanics, and muscle function. These products, when grouped together, provide the ultimate platform for a holistic body, movement, and performance transformation, including unparalleled levels of motor control, movement mechanics, balance, stability, mobility, explosive power, speed, agility, size/hypertrophy, functional strength, symmetry, postural alignment, and total body performance. 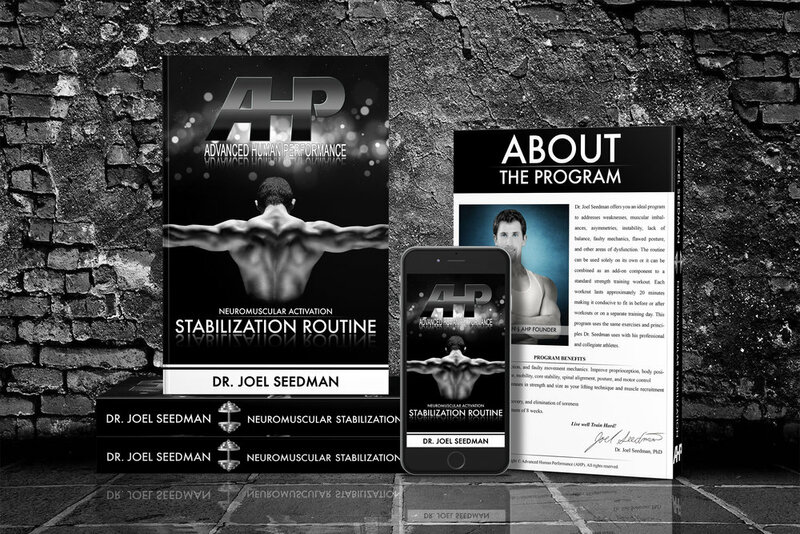 Specifically, this Diamond Tier bundle package contains (1) Neuromuscular Stabilization Routine, (2) Ultimate Foot & Ankle Manual, (3) Complete Templates, and (4) Speed & Power Program. While there are numerous ways to combine these 4 programs it's generally recommended to perform 2-3 speed workouts per week, 3-4 foot and ankle workouts per week, 2-3 stability workouts per week, while also performing 2-5 customized strength training workouts per week designed from the Complete Templates. These workouts can be performed at separate times of the day or combined into 1 large workout-of-the-day method. Frequency of each can be adjusted and modified depending on the goals of each athlete as well as the time of season (off-season, in-season, etc). See below for an overview of this bundle package and links to detailed descriptions of each included product. In addition, with your purchase of Iron Game Warrior, you receive 3 FREE awesome training routines by Dr. Seedman to ensure your entire body is completely transformed. Specifically, you'll receive the following: (1) Upper Body Blast, (2) Lower Body Blowout, and (3) Core Blitz. Each of these was specifically designed by Dr. Seedman to maximize strength, hypertrophy, and neuromuscular activation across the entire body. Upper Body Blast (Free Product #1) is an intense upper body template designed for targeting hypertrophy and strength in your chest, back, shoulders, and arms. The Lower Body Blowout (Free Product #2) is an elite lower body template designed for targeting hypertrophy and strength in quadriceps, glutes, hamstrings, calves, feet, and ankles. Finally, Core Blitz (Free Product #3) is the ultimate abdominal template designed for building core strength and definition.